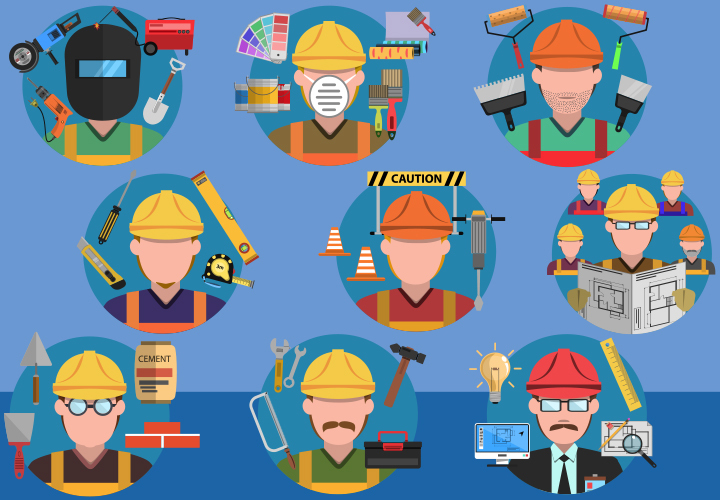 Understanding the Available Range of Roles and Positions in Construction - CIF Construction Jobs Board. Chances are good that you have heard of the Irish construction industry’s renaissance. It has moved from the doldrums to become one of the fastest growing areas of the economy. Along with that growth has come the significant demand for educated, skilled workers. If you are interested in a rewarding career, this could be a good pathway. However, if you think that construction workers all wear tool belts and carry hammers, then you’ll need to know a bit more about the roles and positions within the industry. One position that is seeing increased demand is surveying. While you might assume that surveyors only play a role in site selection, clearing and levelling, the truth is that they are involved throughout the process, and work in many more areas than the construction site itself. For instance, you’ll find quantity surveyors who are responsible for helping construction companies determine the right amount of supplies and materials. You’ll also find geomatics surveyors who are responsible for mapping the environment in and around the construction site. There are many other surveyor types, as well. Engineers play a very, very wide range of roles within the construction industry. You’ll find civil engineers, who are responsible for planning and designing buildings, bridges, roads, civic projects, and more. You’ll also find these professionals working as consultants, as freelance professionals, and in numerous other roles. While the brunt of the work in construction takes place on the job site, there’s a lot that must be done to keep a construction company moving forward, and all of that takes place in the office. Administrative jobs give you the ability to put other skills to work on behalf of your employer, whether that’s as an analyst looking for ways to cut costs while improving quality, as a payroll specialist, or in some other area. As you can see, there are many, many options here. The days when working construction meant that you could only carry a hammer are long gone. Of course, there is still a significant need for job-site workers, whether you go into carpentry, pipe fitting, electrical work, specialise in concrete, or something else.